The mission of Ceramic Decor Centre is dedication to the highest quality of Customer Service delivered with a sense of warmth, friendliness, individual pride and company spirit. These high standards were established in 1983, and today our goals remain the same: Remarkable quality and the best of service to each and every customer. Oddone Durigon opened Ceramic Decor in 1983 in a small 1500 square foot unit on the corner of Victoria Road and Elizabeth Street in Guelph. His son George joined the company as a teenager and focused on growth and expansion of the company. After a number of locations and renovations, our current location at 987 York Road is one of the largest tile store outside of Toronto featuring well over 30,000 square feet of showroom, offices and warehouse space. 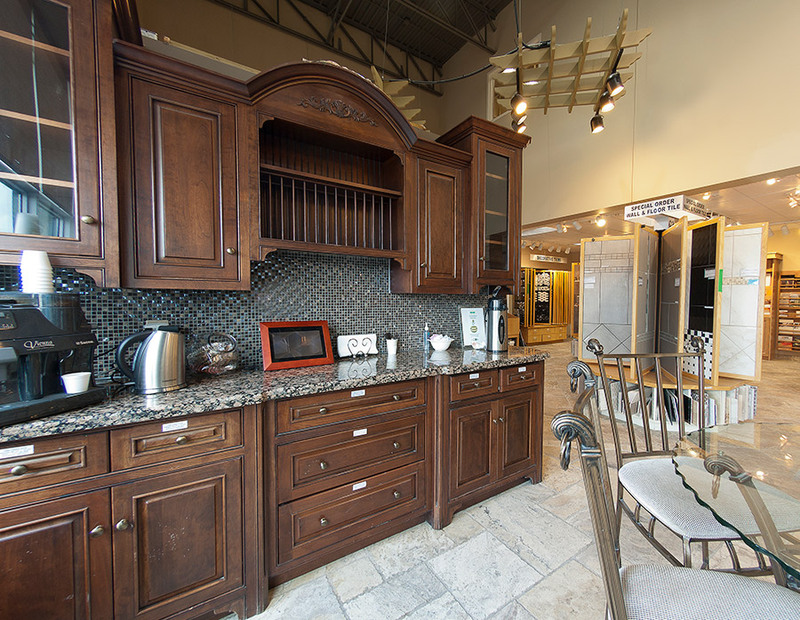 Our showroom is always updating and evolving with the latest trends and products. Please stop by for an espresso and biscotti while you browse and shop for tile and stone. Our showroom features a unique display system of full size panels of tile that makes viewing and choosing tile much easier and more enjoyable than traditional flooring showrooms that feature manufacturer bins. Seeing tile in a large display takes the guesswork out of imagining what your installation will look like and the patterns and designs that we illustrate offer ideas and endless possibilities for your project. We also have an experienced group of sales representatives with design and installation training that can assist with everything from design advice to installation instructions for the “do-it-yourselfer”. We stock thousands of square feet of tile in our York Road warehouses which means “buy it today, take it home today”. We also import tile directly from Italy, Spain and Portugal, and thereby we can offer exclusive products with no “middle man” enabling huge savings for our customers. For the budget minded, we also carry remnants and clear outs in our “cash and carry” bargain area of our showroom. We truly are a one stop shop for tile and stone and even offer delivery services that are often free of charge to our customers. Ceramic Decor has used their dedication to quality and service to become the leading tile installation service for the New Home Industry in the Kitchener-Waterloo, Cambridge and Guelph area in the past 30 years. We are ever expanding our market to include the areas west to London, north to Owen Sound and Collingwood as well as closer to home in Milton, Burlington and Oakville. We have won many awards and received accolades from builders for our quality installations and commitment to service. We welcome designers, contractors and architects to partner with us as we offer comprehensive programs that can be mutually beneficial. Please contact us from more information.